Every once in a while, life throws something big and unexpected your way. What’s more is, like it or not, you just have to deal with it. With that being said, it’s hard to imagine a surprise bigger than unexpectedly giving birth. By ‘unexpectedly’, I don’t just mean getting the wrong due date either, I mean giving birth without even realizing you were pregnant in the first place! Sounds pretty hard to believe, doesn’t it? But that’s exactly what happened to a woman from Scotland called Charlene Fullerton. The 31-year-old, who was already a mother to three children suddenly woke up in complete agony one night fearing some sort of severe abdominal problem. That ‘problem’ actually turned out to be a beautiful baby girl. As you can imagine, Charlene was pretty shocked. Especially seen as she was on the birth control pill at the time. 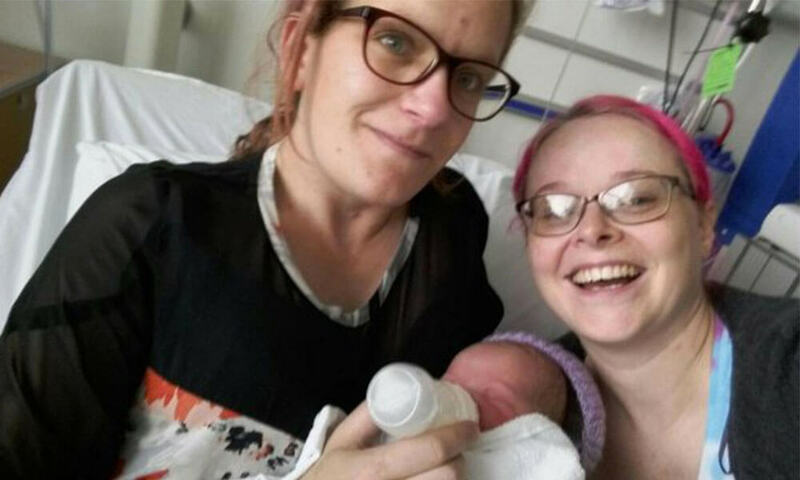 Her partner, 34-year-old Steven Fraser, had no intentions to expand their family further after seeing their family as complete after the birth of their third daughter, Emily. Hence Charlene using contraception. The full-time mom from Falkirk, Stirlingshire, said she had no idea she was pregnant and was even still having periods. So how, you might ask, has this happened? Well, in the months leading up to the unexpected event, Charlene did notice she was feeling unusually hormonal and craving random foods. So, recognizing these as obvious signs of a potential fourth child, she took not one but two pregnancy tests just to be sure. Amazingly, they both came back negative. Apparently, people had been asking if she was expecting. Which, if you’re Charlene, you’d have probably found pretty offensive. But, they clearly knew something she didn’t! So, you might be wondering what actually happened when she suddenly went into labor. Well, the drama unfolded in August 2017 when Charlene woke up in the middle of the night in agonizing pain. She rushed to the bathroom suffering from severe cramps and quickly realized she was bleeding. Just imagine the panic she must’ve been in, not knowing what on earth was going on! She woke up Steven, her partner of 15 years, to let him know that something was seriously wrong. She said “he thought maybe my appendix had burst. He had no idea what was about to happen“. Taking baby Emily downstairs, Charlene – also mum to Katlin, 11, and Sophie, 8 – rushed back to the bathroom where, as the pain intensified, she fell forward onto her hands and knees. Steven was obviously really worried by this point but managed to remain calm and immediately called for an ambulance. 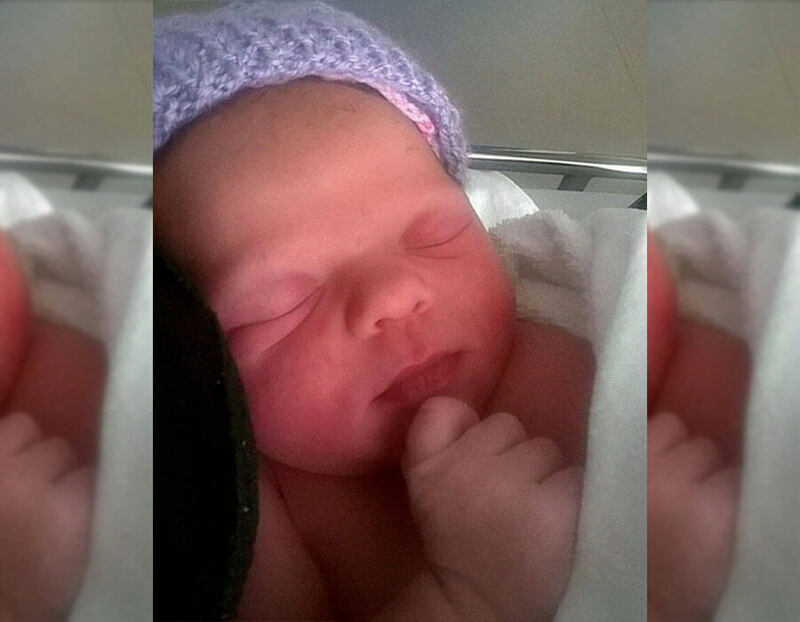 After informing the operator of the symptoms, he was told that Charlene could potentially have gone into labor. During the phone call, Charlene began to realize what was going on, especially after she began to feel a natural urge to push. The operator, who was still on the phone at the time, then guided Steven through the birthing process. He ended up delivering their 6Ib 1oz baby girl himself! Just imagine the spectrum of emotions everyone felt whilst this was going on. “They were shocked – but then so were we.” I bet! Despite Steven doing a fantastic job delivering the newborn safely, Charlene was still taken to Forth Valley Royal Hospital as a precaution. Thankfully, doctors quickly reassured the couple that both mom and baby – who they named Janey – were perfectly healthy. 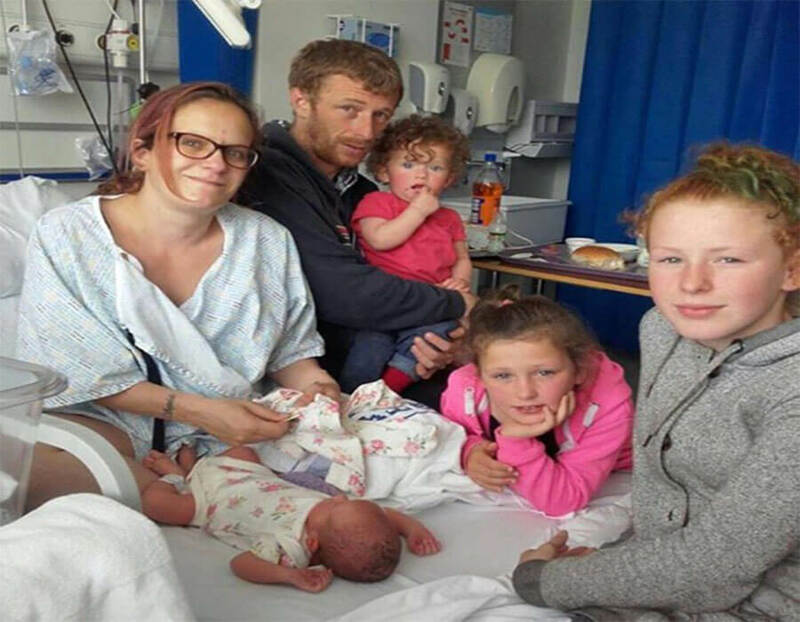 Frustratingly, as the couple had previously decided not to have any more children, they had given away all of their baby clothes and equipment. Looking back, there was one telltale sign that she could’ve been pregnant… her weight. Having packed on a few pounds over the course of the past nine months, Charlene must’ve just assumed she was just naturally putting on a bit of weight from her diet. Confused and concerned, Charlene had visited the doctor for pregnancy tests in February 2017. But, of course, it came out negative. Still feeling continuously bloated during the following months, she did the same again in July. Somehow it gave a false result again! Her GP reassured her that since she’d taken two separate tests and was still having regular periods, pregnancy was extremely unlikely. Unlike the circumstances surrounding the birth, Charlene said: “Janey is such a chilled baby, which is funny after her dramatic arrival”. “I’m just so glad that she’s ok, as I did have the odd glass of wine and cigarette, not knowing I was pregnant. ‘I’m thinking of getting sterilized now, though. Our family is definitely complete and I don’t want to go through that again.“. I don’t blame her! At the end of the day, four kids is a lot for anyone to handle… Mom and dad have certainly got their hands full! What do you think of this story? Have you ever heard of anyone you know giving birth without even knowing that they were pregnant? Let us know in the comments, and don’t forget to SHARE! Follow the Aunty Acid page on Facebook for more articles like this. While you’re there, you can also check out our related pages, such as Aunty Acid’s Crazy Clip Show – just type that into the Facebook search bar for some great video content!